We all know your skin is a sponge and it's going to eat up whatever you put on it. So you might as well be paying attention to what's in those ingredient lists! Not to mention your skincare routine is the perfect opportunity to feed your skin with nutrients and ingredients that are going to protect, detoxify and not add any further chemical burden to your body. We see so many companies, (natural ones too) that either don't contain the natural or safe ingredients they promise, or their "effective" ingredients they use are often just a "dusting" of active ingredients that they use in their formulas. They do this so they can not only save money, but that they can claim these active ingredients on their ingredient list and labels. We don't think this is a fair practice, and often consumers are none the wiser and they are the ones who ultimately pay for it (pun intended)! "Many times a company will add only a "dusting" of their effective ingredients to save money so that they can claim them on their ingredient list and labels, but don't have to spend a good amount of their budget on." That's why we use a high concentration of active ingredients (Sea Botanicals) in our products so that you get the most bang for your buck! Not to mention Sea Botanicals are already 5 times more powerful than land based plants, so you're getting a superfood ingredient that's working overtime for you. 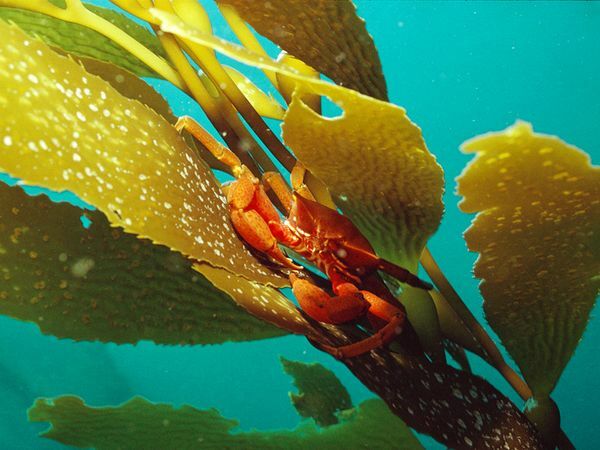 Plus seaweed is so sustainable, requiring no watering, pesticides, fertilizers, etc! Just nature doing it's thing! Our Seaweeds are sourced from Iceland, which has some of the purest waters in the world. We care about what we put on our skin, which is why we set out to create the most healing, natural and effective skincare products: because your skincares!